First of all, as you may have known, I have had a month break from blogging due to work commitments and going away on holiday. I haven't had the opportunity or time to actually be able to put my all in to my page. I am back now though and have really missed the blogging world. Let's get to it then. If you are not already aware, I have eczema and therefore suffer with sensitive and very dry skin. The amount of creams and lotions I have tried to combat my dry skin is ridiculous. I therefore will share with you today my current four favourite face creams that I find actually calm down my irritated skin and combat my very dry skin at the same time. I would probably say my favourite is the Embryolisse Lait-creme concentrate. I have already written a full review on the cream here. Considering it is actually for all skin types, this cream leaves my skin feeling moisturised and is even perfect to use as a primer too. The only criticism is that I do seem to get through 75ml tube about every 6 weeks but I do moisturise a lot to keep my skin as smooth and radiant as possible. 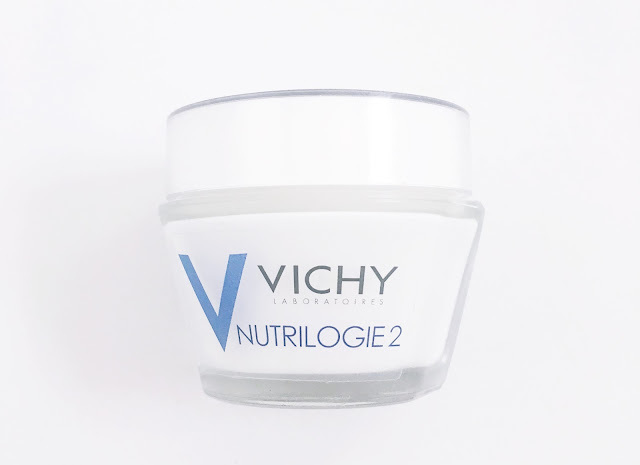 My newest facial cream is the Vichy Nutrilogie 2 facial cream for very dry skin. I am not sure if this is because it's my newest product but this is the cream I am reaching to the most at the moment. It leaves my skin so hydrated it is unreal. I will obviously fill you in more about this cream once I have been using it for at least a month but so far, I love it. After seeing the Dr Organic Manuka Honey Cream mentioned on quite a few different blog sites and YouTube videos as being great for eczema, I couldn't not pick this up. I have used quite a few Dr Organic products before but never any of their facial creams. First off I absolutely adore the smell!! The cream is a rich restoring emollient which is safe to use on dry, sensitive and irritated skin. I find this cream so soothing! It isn't as hydrating as the two creams above, so when I have very very bad dry skin days, I will use a different cream but if my eczema has flared up and my skin is very sensitive and red, this is a life saver. Last but not least on my list is the First Aid Beauty Ultra Repair cream. It claims to give intense hydration for dry parched skin. My Mom actually had this in one of her beauty boxes and gave it to me as her skin isn't as dry as mine. Again i still don't find it as hydrating as the first two I have mentioned but on normal-dry skin days this is perfect and feels so lightweight on my skin. As this is a newish cream I think I need to test it out a little more before providing you will a complete review as out of all four creams I would say I have used this the least but it is still great for both moderately dry skin and sensitive skin. These four creams are my favourite by far at the moment, much better than the creams prescribed to me by my doctor or the hospital. It feels great to actually have found creams I want to continue using. Have you used any of the above? Do you have any recommendations as to a good facial cream? You really can't beat Vichy, it's such a fab brand! I need to find a way to get my hands on First Aid Beauty products, everyone raves about them! I'll have to check online! my skin used to be dry but now its combination so none of these work BUT you cant go wrong with Vichy, I love their products! That organic manuka honey cream sounds incredible. I really need to up my skincare game, especially since my skin type has been shifting quite a bit from oily to combination to dry due to moving countries, stress & season change. Thanks for sharing what works for you, Lauren. Is it normal that I want to try them all?! I have become a skincare junkie lately, but when hearing such good reviews I can't help it. ahaha Awesome post! I haven't tried any of these products, but I may have to since they all sound so good! Great reviews! Thanks for the tips! I have quite sensitive skin so this post was really helpful! 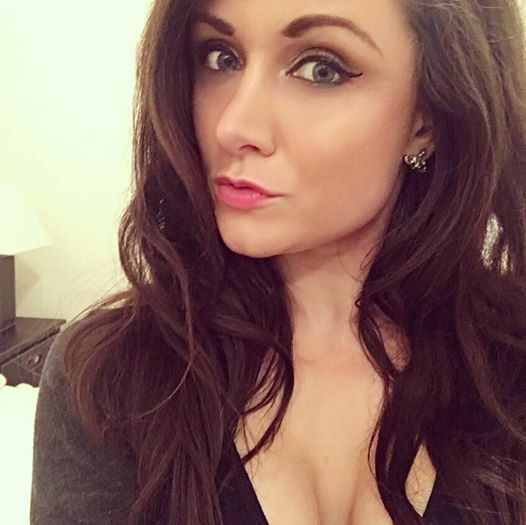 Hello, I spotted you on Tanya's blog and decided to come and say hi! I have been really enjoying reading your blog. It would be cool if you checked out mine, too. Are you open for any collabs? 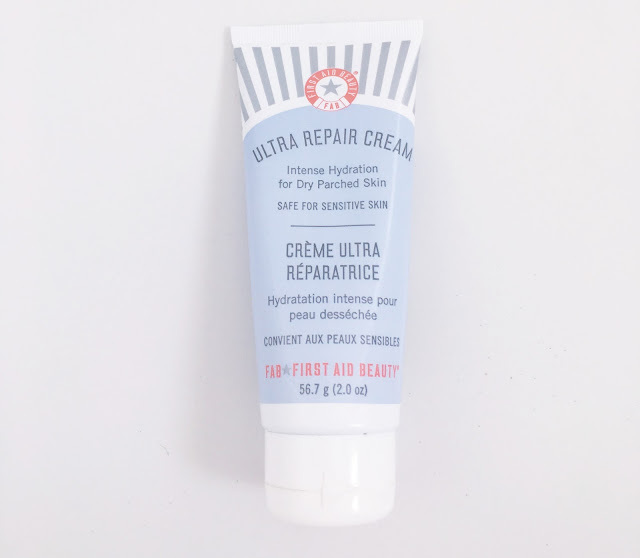 The First Aid Beauty Ultra Repair cream is so amazing. I live by their lip balm and eye makeup remover too! It's the best five-free eye makeup remover that I can find. When it comes to putting chemicals in my eyes, I am very careful. Great post, I will definitely have to try some of these as my skin has been extra dry recently!